People living near the Marathon refinery in southwest Detroit are calling for “more transparency” after a foul odor from the plant descended on surrounding neighborhoods Sunday. The source of the odors was a malfunctioning flare gas system which allowed hydrogen sulfide and other compounds to be released into the air. Officials insist the release did not exceed any health standards. But neighbors claim the “rotten egg” stench caused coughing, vomiting, dizziness and headaches. Many complain of receiving conflicting information for what to do on Sunday. Resident Theresa Landrum doesn’t trust what she’s being told. A press release from the Michigan Department of Environmental Quality says the department will continue to coordinate with EPA and the City of Detroit on air monitoring and response activities related to the malfunction of the coker flare gas system and resulting odors from the Marathon refinery in Detroit. State and local officials are planning to hold a follow up meeting with the refinery operators Tuesday. 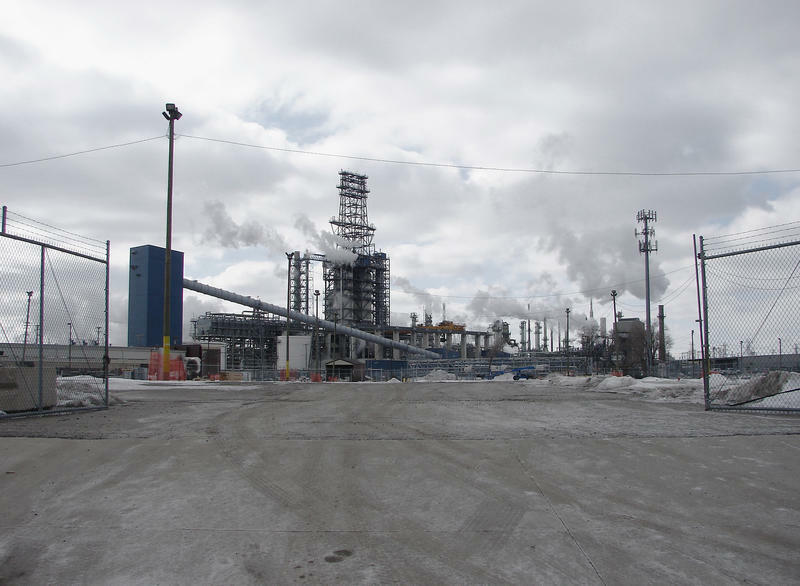 A lawsuit was filed Monday in federal court, claiming air contaminants, noise and odor from Marathon's refinery in southwest Detroit is causing a continuous nuisance that's harming people who live nearby. The lawsuit is seeking class action status, damages of more than $5 million for area residents, and a court order to stop Marathon from releasing contaminants into the air and to cut noise and odor.